The troubles for the popular singing reality show The Voice India-Kids judge Papon is not ending. The famous singer Papon is making headlines after his kiss controversy that is making a row. Now the Chairperson of Essel Media group Subhash Chandra took to Twitter to condemn his shameful act. Mr. Chandra also asked the CMD of the company to take a strict action against the singer and others who are involved in the matter, if any. Not only this he also barred Papon from the Essel group forever. Majority of the child abuse cases go unreported as the child fails to understand between good & bad touch. The authorities are the best to decide in this case. I appreciate the petitioner for being vigilant & all the media houses who have been reporting about the story. When the parents send their children for participating in reality shows, they bestow trust upon us, which we must never break. We are duty bound to treat every kid as ours and provide them safety and security. 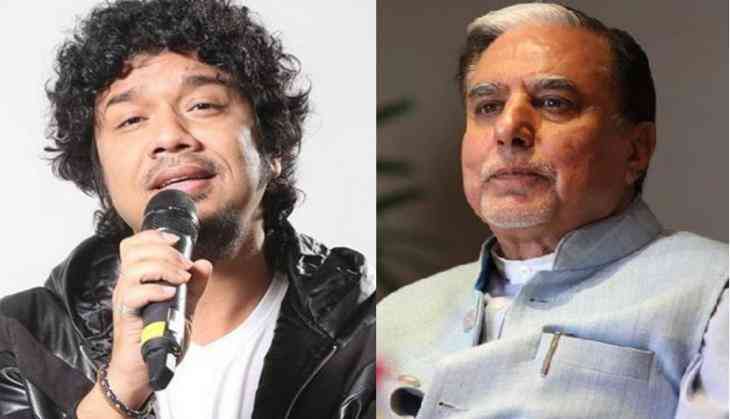 Papon incident is unfortunate & must be unequivocally condemned, whatever the reason may be. I urge the authorities to take every action that they think deems fit to the law & let law take its due course. A video of the singer showing Papon kissing a minor contestant on the show is been viral. The incident took place on Tuesday night during a Facebook Live session after which a complaint has been filed against him by Supreme Court Runa Bhuyan under the Protection of Children from Sexual Offences (POCSO) Act. After the kissing controversy, the &TV channel removed singer Papon from the designation of a judge from the reality show The Voice India-Kids and also issued a statement. “The Papon incident is unfortunate and is unequivocally condemned. The decision to not have Papon on the show has already been communicated. Anyone who fails to abide by our code of conduct will not be engaged by our network. We have faith in the judicial system to take the necessary actions that they deem fit. We have extended our full cooperation to the concerned authorities. As a responsible broadcaster immediately after this incident was brought to our notice, an internal enquiry was initiated. Post the enquiry, instant support was extended towards the participants and their families. An on-call psychologist is available to offer counsel to the children and their parents and an external counsel has been appointed to address the situation.